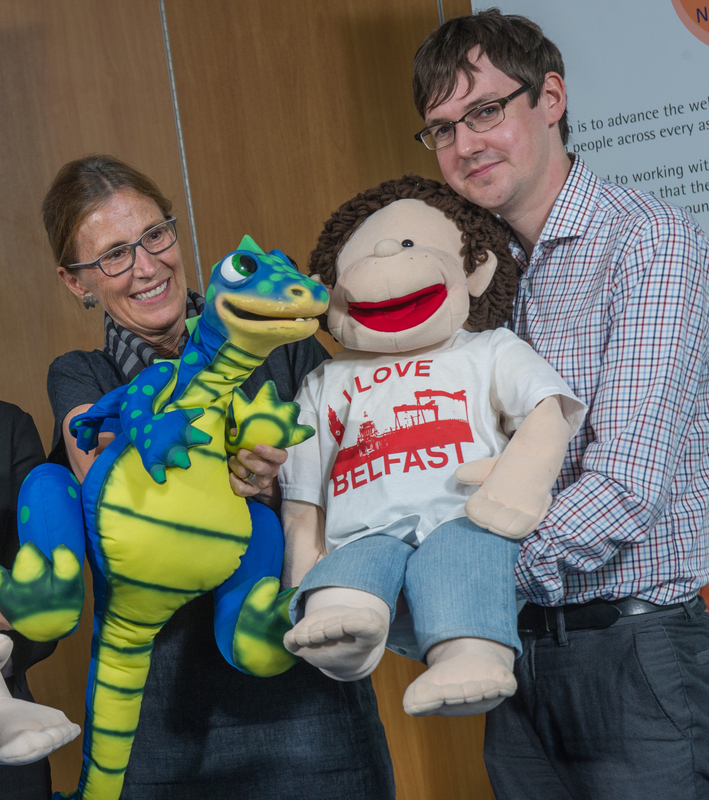 NCB Launch Carolyn was so excited to be invited to Northern Ireland this month to help launch the Incredible Years® (IY) Northern Ireland Co-ordination Project. While there, she had the opportunity to meet Ewin Poots, MLA, Minister for Health, Social Services and Public Safety as well as Dr. Eddie Rooney, Chief Executive, Public Health Agency. Both of these individuals spoke at the conference about the importance of supporting families by using evidence-based programs that promote positive parenting and children’s social, emotional and academic competence. Carolyn introduced them to Wally Problem Solver and they seemed to enjoy his company. To learn more about the National Children’s Bureau, click here. 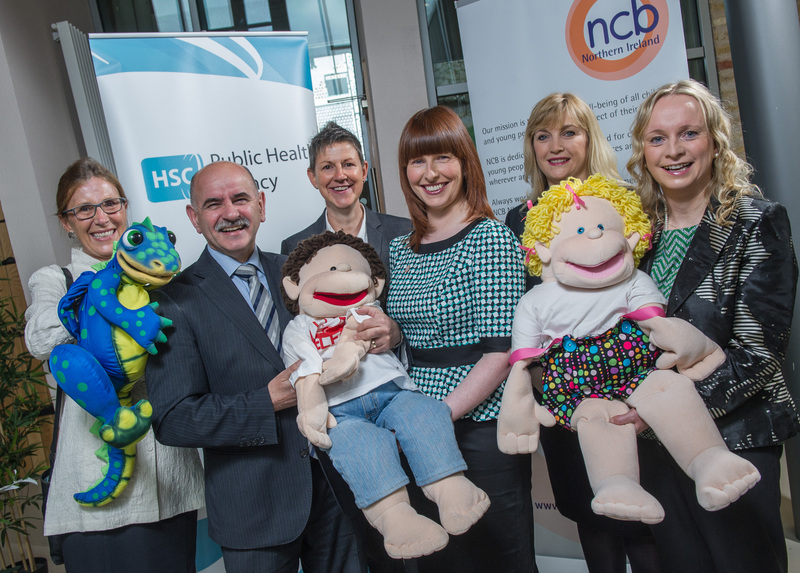 (From Left) Carolyn & Dina Dinosaur, Dr. Eddie Rooney and Wally Problem Solver, Caroline White, Deirdre McAliskey, Celine McStravick, and Maria McAleese with Molly Manners. The objectives of NCB’s new launch is to promote effective implementation of IY, program delivery fidelity, and group leader accreditation as well as to help agencies monitor and measure the impact of their programs through evaluations. 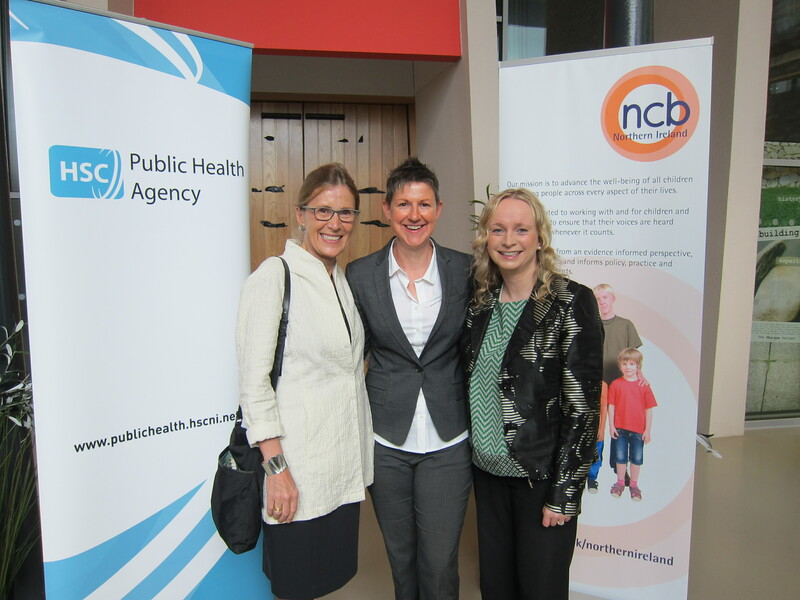 The leaders of this launch are Celine McStravick and Deirdre McAliskey from NCB. Following the conference, a cross agency steering group with administrators of schools, agencies and foundations met to discuss system implementation issues. Molly, Dina, and Wally listen in at the conference! At the conference, Carolyn gave the keynote speech to a group of IY group leaders and administrators. She talked about the Incredible Years® Parents, Teachers and Child programs, research outcomes, and some of the agency and clinician barriers to successful program delivery. The group seemed surprised to learn that over the past 10 years, 574 IY parent group leaders, 94 child dinosaur group leaders and 64 teacher leaders have been trained. Carolyn presented 8 key building blocks for disseminating the programs with fidelity in the “real world.” When faced with an actual technological barrier to her powerpoint and video presentation delivery, Wally Problem Solver helped Carolyn with calm down strategies and solutions for how to both hold the microphone and speak to the audience with confidence despite being unable to show her carefully edited video clips. As happens with implementation of evidence-based programs, this illustrated how to go forward despite unexpected barriers. She discussed how to overcome such barriers and the importance of delivering the programs with fidelity in order to get the best outcomes for children. 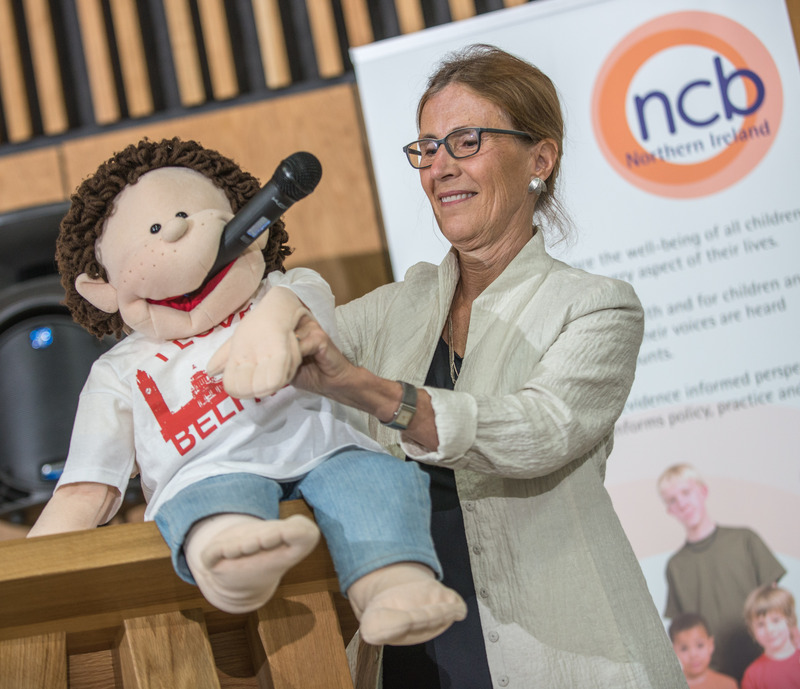 Caroline White, Head of CASP Early Intervention, Central Manchester University Hospitals NHS Foundation Trust, and an accredited Incredible Years® Parent Trainer, spoke about her successful implementation of the IY program in the Manchester area over the past 15 years area. She provided examples of ways she has addressed each of the 8 building blocks to promote quality delivery. She talked about the importance of an interagency infrastructure that includes administrators, policy makers, and IY mentors to coordinate efforts and outcomes and who are in consultation with the developer and IY trainers. 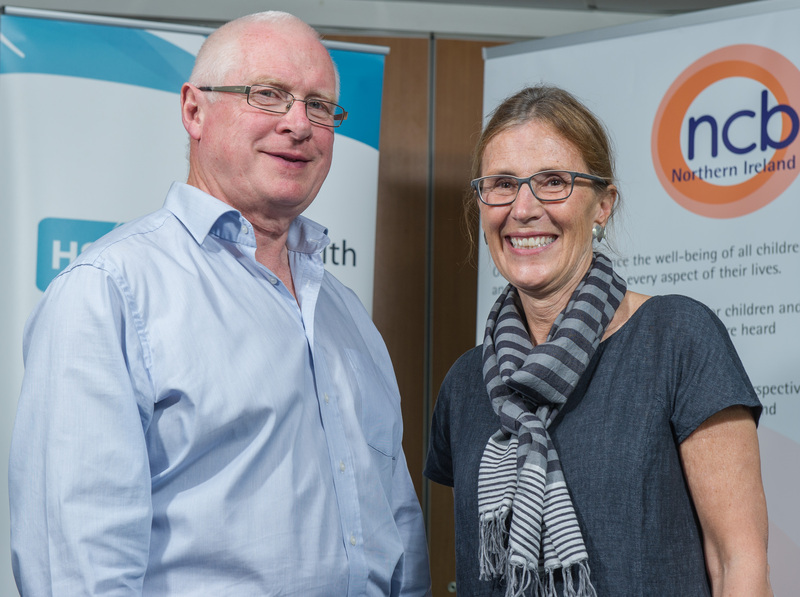 Northern Ireland is fortunate to have an accredited IY mentor, Maria McAleese (who provides ongoing consultation workshops, coaching and authorized training workshops) as well as an accredited IY Coach and Mentor in Training, Peadar Mckenna. These dynamic individuals have already provided coaching and video review feedback to many group leaders. In the afternoon, Maria and Peadar each led separate groups of group leaders to discuss the training, coaching and support structure and to review their needs. Carolyn joined each of these groups to explain the rationale for the certification/accreditation process and to answer questions. This day started with a visit to Colin Neighbourhood Partnership, a community center in Colin to learn about the Early Intervention Community efforts at delivering all the IY programs. The highlight of this event was two parents who talked about their experiences participating in the program. Carolyn introduced Dina Dinosaur who talked about the dangers of violence and announced the birth of her new baby. Baby dina will be staying at this center to learn about all the ways she can survive by learning to problem solve and make good friends. 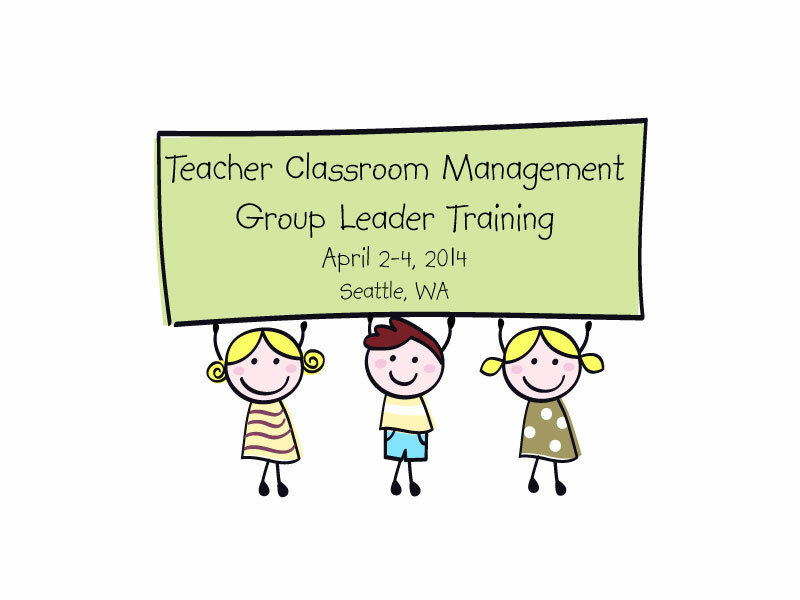 Additionally, parent and child group leaders met to get a preview of what happens on group leader consultation days. 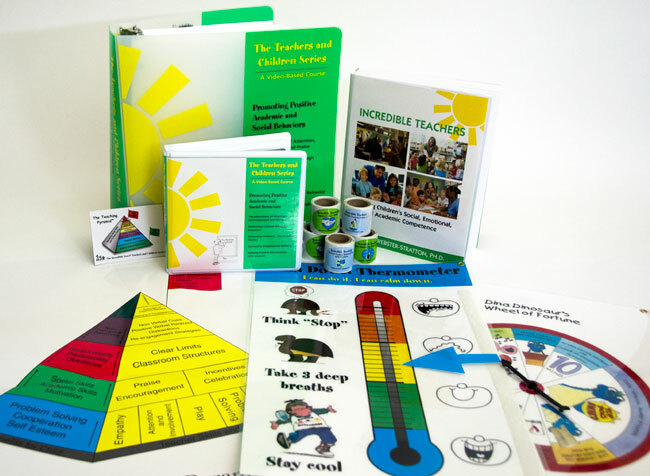 Normally, consultation days only consist of 12 participants (6 pairs of leaders) from either parent or teacher or child IY programs, who present selected video clips of their IY groups and receive feedback regarding their personal goals. However, in order to illustrate the value of this approach, more than 30 parent and child group leaders attended to watch 4 group leaders show their video clips and receive feedback. Maria, Peadar and Carolyn took turns leading the discussion of these video vignettes and also led participants in role play practices. Issues discussed, modeled and practiced included the collaborative role of IY leader and coleader, how to help a parent work out her relationship with her child’s grandmother, how to trigger spontaneous role plays in conjunction with home activity reviews, effective use of buzzes, how to coach play times to assist children who are developmentally delayed or non interactive, and how to manage children in groups who are off task and not engaged in the learning. While barriers to videotaping were acknowledged, participants seemed to appreciate the value and immense learning opportunity provided from video review and self-reflective learning with peers and with a mentor or coach. Carolyn answered other questions about IY programs such as ways the School Readiness and Attentive Parenting Programs could be used as supplements, accreditation requirements, and the importance of being able to offer more sessions according to risk level of the population. 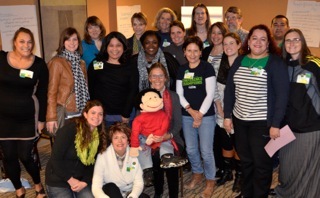 Participants were enthusiastic and supportive of each other and hopefully achieved Carolyn’s “fun” goal. 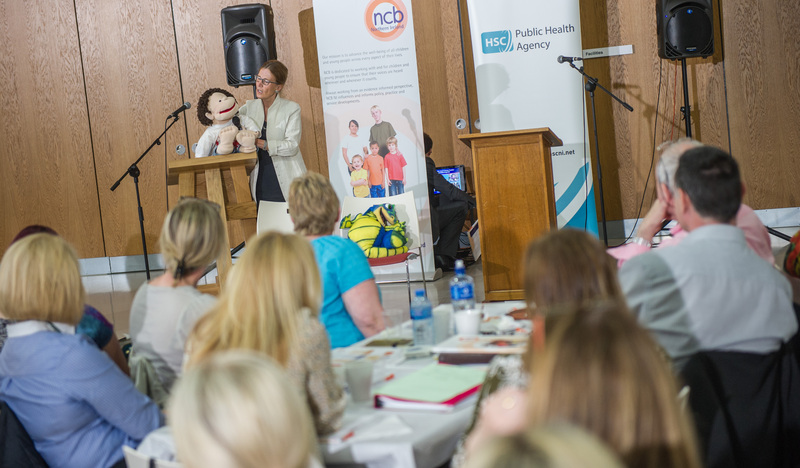 Categories: Incredible Years, News, Uncategorized, Workshops | Tags: Children, Colin Neighbourhood Partnership, Incredible Years, Ireland, NCB, Parents, Teachers | Permalink.